The U.S. Green Building Council-Illinois Chapter Rockford Branch, in partnership with ASHRAE and AIA Northern Illinois, are hosting a Holiday Party & Networking Event. 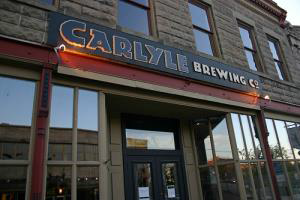 Join the group for an evening of drinks, food, and fun at Carlyle Brewing located in the heart of Downtown Rockford. Members will be available to share what's new in each organization. You'll also have an opportunity to learn about 2016 upcoming events, opportunities to volunteer or become more involved, and meet new and interesting people doing great things for the region. To register for this event, please confirm your attendance via email to Mike Dudek at mdudek@larsondarby.com.